When was the last time you heard a good grunge album? What about political experimental hip-hop with a sense of humor? Welcome to "Have You Heard This (Yet)? This is my semi-weekly feature in which I highlight one brand new album that I really love and one older album or collection of older songs that I am revisiting. This is kind of my own spin on the "album of the week" feature. The clip above is the movie trailer for the forthcoming Documentary about the band L7 (a personal favorite). New To The World: Swet Shop Boys "Cashmere"
was a REALLY big fan of the mash-up insanity of the NY hip-hop group Das Racist (Heems, Kool A.D., and Dapwell) and I have mostly enjoyed the post-Das work of Heems. Anyway, Swet Shop Boys is Heems new duo with Riz MC (you probably know Riz from the HBO series "The Night Of). 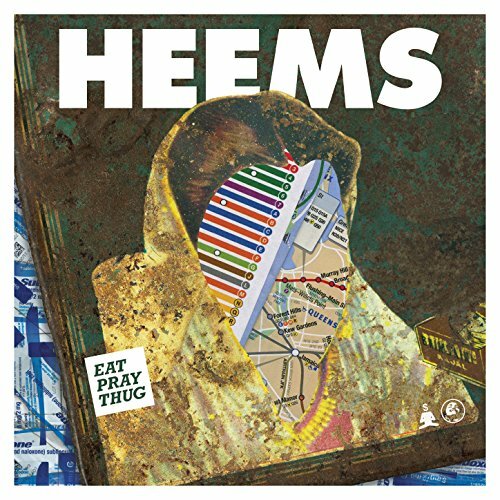 What I have always loved about Heems is he manages to combine extremely political world music and hip-hop with an unwavering commitment to low-tech garage mixing and a total and outright almost goofy silliness. There is something refreshing to me about this technique (almost a humility which is lacking from artists like Kanye). Heems and Riz have a political point of view, but they don't preach as much as engage in news reporting (or preach from a unique POV). You get the feeling when listening to Swet Shop Boys, that you are experiencing a day in the life from inside the inner-commentary inside the heads of Heems and Riz. I love it, the album is fun, doesn't take itself too seriously, but at the same time, these guys have very serious things to say. Listen to the lyrics of the song Zayn Malik (the only time you will see me mention a member of One Direction here) and you will get what I am talking about. Heems and Riz are often talking about experiencing life through the eyes of many subject positions. For instance, the positions of being a successful MC, of earning good money, but also of having your phone monitored and of feeling like you are under surveillance for being a Muslim from the Middle East when you are actually a Hindu from India. But somehow, it all still seems hopeful and fun, and that is an incredible feat. In an environment where everyone is in political silos screaming and lobbing grenades at each other. In an environment where we don't celebrate subtlety or diversity, hearing two guys often in the political crosshairs keeping their sense of humor is a gift. Something Newly Remastered: L7 "Fast and Frightening"
My favorite bands from the Grunge era were The Melvins, Nirvana, and L7. Sure, there were plenty of other good bands during that period, but those were my bands (I wrote an article about my opinions on Nirvana, the Melvins, and Grunge many months ago). I was lucky enough to see L7 live several times (including four times during when they were supporting Hungry for Stink and on the Lolapalooza tour). I even got to talk to several of them at different times. Anyway, this is a brand new double album full of remastered classic L7 songs, live versions of L7 classics, and some cool covers (some that I had not heard before). It is a really strong compilation and will give you a great feel for the band and its work. When I consider my own "member berries" I "member" bands like L7. This is a really good chance to get to know the music of L7 before the documentary about them is released to theaters soon! Okay, well that is another Have You Heard This (Yet)? Hope you enjoyed it! What did you think of Swet Shop Boys? Are you excited for the new L7 Documentary? What are you thinking? Let me know, leave a comment!